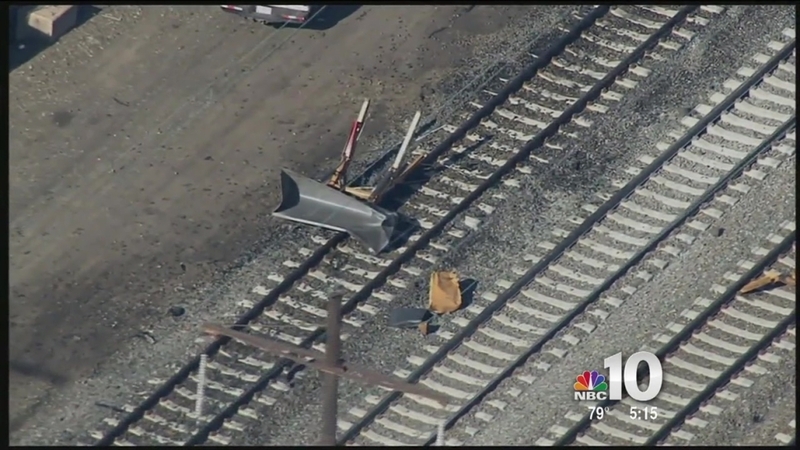 An NBC 10 Investigation has revealed a basic safety device called a shunt missing at the site of Amtrak’s most recent deadly accident on the Northeast corridor. Amtrak 89 was traveling 106 miles per hour when it collided with a maintenance crew in Chester, PA on April 3, 2016. The accident killed two maintenance workers. The NBC 10 Investigators found Amtrak dispatch records show other railroads notified of the maintenance work. Dispatch logs show the track in Chester was occupied or ‘fouled’ between Friday April 1 and Monday April 4. “Unfortunately, you’re always going to have some kind of human error and nobody’s life should be one step away,” Jedd Dodd, the General Chairman of the union representing Amtrak maintenance workers said. Dodd, who worked on Amtrak maintenance crews for seven years, said a simple electrical cable put on the track called a shunt would have turned the oncoming railroad traffic signal red – telling trains to stop. “There were no shunting devices and Amtrak had routinely stopped using shunting devices out on the track from what we can see,” Dodd said. “There’s no doubt in my mind that there was no shunt on that track,” Railroad engineer and professor at the University of Delaware Allan Zarembski said. Zarembski demonstrated how a shunt mimics a train on the tracks. An electrical cable connects the two tracks to complete an electrical circuit and show oncoming trains the track is occupied. That section is removed in the latest version. Amtrak officials would not say why the supplemental shunting device section was removed from its current training manual. The NBC 10 investigators did find it would have been redundant. The North American Railroad Operating rules, which govern all railroads, do include the shunting device section. “I really can’t talk about that because that whole thing with the maintenance workers because it involves the NTSB,” Amtrak vice president of operations Chris Jagodzinski said at a public event in May when asked about how the railroad protects and trains maintenance workers. The Amtrak 89 accident is the railroads’ second deadly accident in the Philadelphia area since May 2015. 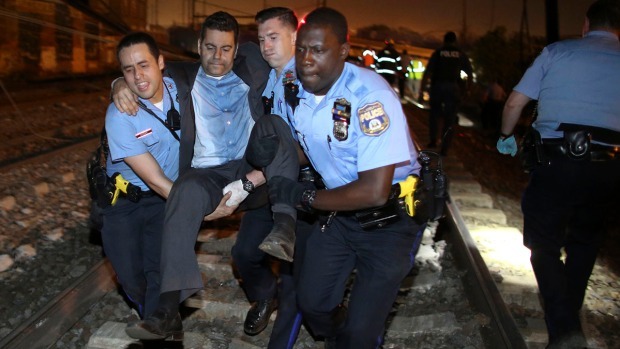 Amtrak 188 killed eight passengers when it derailed in Philadelphia. The NTSB determined the engineer lost situational awareness and didn’t realize the train was traveling too fast for the track. The federal investigation also concluded that a train safety system called positive train control would have slowed Amtrak 188 and prevented the accident. The NBC 10 Investigators first reported that safety system missing on the section of track where train 188 derailed.